Fiddler from Telerik is a free proxy web debugger application that can run on any system with any language on any platform. This quality has made the application to run smoothly across various parts of the globe and thus becoming a strong and popular debugging tool. Six main functional features make Fiddler distinctly different from other web debugging tools. Use the Fiddler to debug your traffic. This helps in ensuring proper transfer of headers, caches, cookies between the web server and the user computers. The tool will also extend its supports necessary to ensure works with any framework like the Ruby on Rails, Java and .Net. 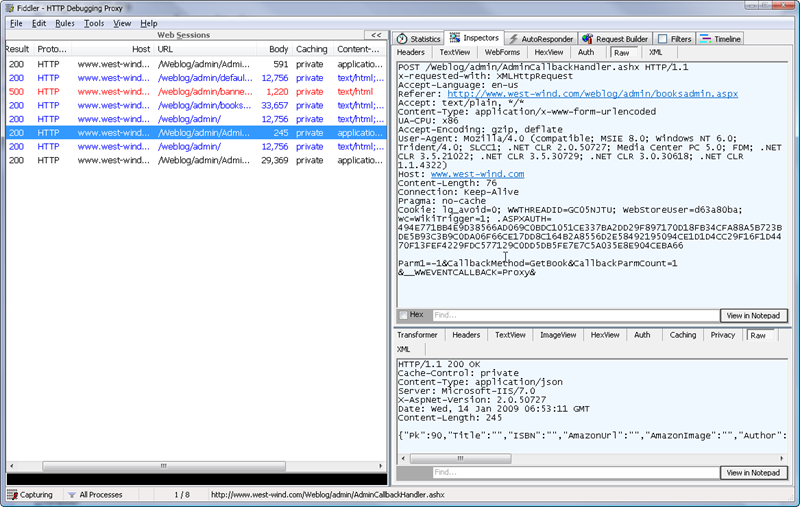 Fiddler’s one of key capabilities is the web session manipulation. With the tool you can easily manipulate a session and edit its details. To do it you should fix up the breakpoints and then pause the session processing. Thus with permitted modification with the request and the response one can control web sessions. The tool’s another way of doing it is through HTTP requests composition. You need to compose those requests. Users can go for performance testing with Fiddler. It makes you see the total weight of a page. At the same time it also assesses the HTTP cache and the compressed components in a page. You can modify the settings with command or built in functional option like segregating the compressed components with more than 25KB size. The Fiddler can also be used for security testing like configuring the decryption of traffic and driving them in for specific period. It can also be used in decrypting the HTTPs traffic. You can change the display and alter the user generated requests. In short, it provides you with full control for each user sessions. Fiddler itself is customizable with .Net extensions and FiddlerScript. The debugger will create log list for traffic and applications. What do you think about Fiddler?